Some more Mickey head ornaments – two are for Halloween. The pumpkin Mickey I bought on our very last day at [then] Downtown Disney as it was the first time we’d really seen any Halloween merchandise. On our first trip we went at the start of August, and stuff was just creeping into stores in our 3rd week there. I explain about the other Halloween ornament in the video. One is a plain purple Mickey, and the Disney parks one I also talk about in the video. As a family, Chip ‘n’ Dale are our favourite characters to meet when in the parks, and I bought this pair of ornaments from the Mercantile at Wilderness Lodge – the chipmunks are sitting on little bells. On our 2016 trip, we were there for Walt Disney World’s 45th anniversary, which was awesome – I bought several items from the special merchandise that was on sale, including this Mickey Ears Hat ornament. It also lights up which is pretty cool. I have several of this style of ornament – mainly for Halloween – and they’re all packed away. I really must dig them out and make an itinerary of them, as I mention in the video that I didn’t buy any more this year because I couldn’t remember which ones I did/didn’t have. 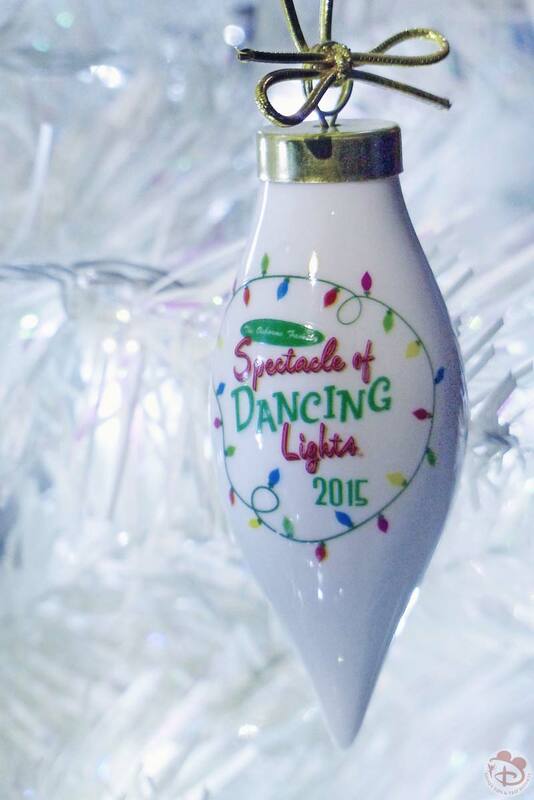 This is another special one that I bought at Hollywood Studios in 2015 – it’s to commemorate The Osborne Family Spectacle of Dancing Lights 2015, which came to a finish that year. We only ever got to see them that one time, so it’s a special ornament too. I’ve grouped these three together as I bought them all at Disney Springs. The Coca-Cola ones are from the new Coca-Cola store; and the little clown one is from Cirque du Soleil La Nouba. And the final batch aren’t from Walt Disney World, but from other attractions in Florida. We bought the Santa sitting atop the Space Shuttle from Kennedy Space Center, which we visited in 2014. The SeaWorld ones are from 2013 – I love the penguin ones, so cute! Homer Simpson dressed as Santa, and the Minion with the Santa hat on are from Universal Studios and we bought them on this trip, so they’re also included in the video. And that is it for my Disney Christmas ornaments (and of course the few Halloween, and not-Disney, but still in Florida ones!) 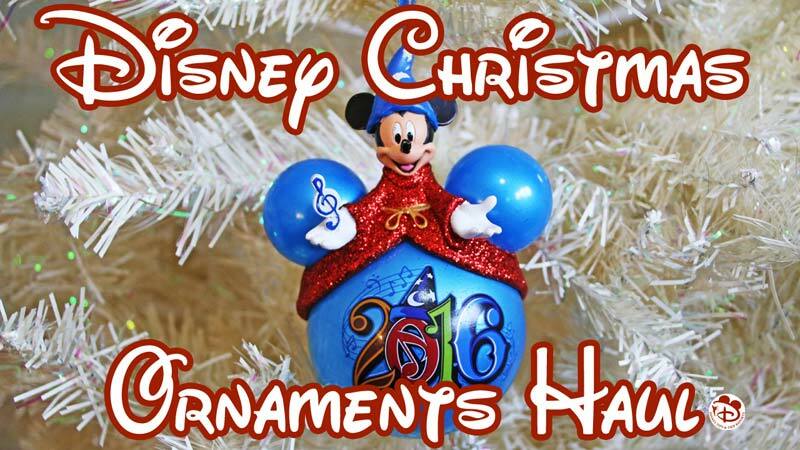 I love that they remind me of our holidays to Walt Disney World and Orlando, and just putting together this post makes me want to hop on a plane right now and be there for the festive season! 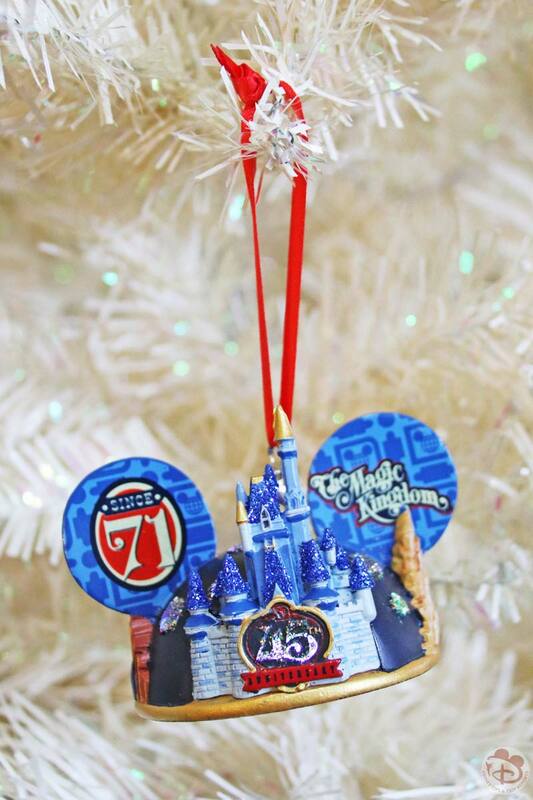 If you have any Disney ornaments, let me know in the comments!